The traditional facelift has been used to tighten the facial skin, usually suspending the facial skin higher into the hairline. While this type of facelift and facial rejuvenation surgery is effective for the forehead and upper eyelid region, it does not impact the midface region under the eyes and down to the jowls. 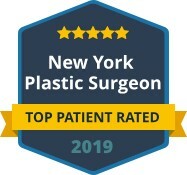 However, the midface lift surgery is a more advanced technique that addresses these areas, giving patients a more powerful option to reduce the signs of aging. One of the most significant changes in the face when it ages is the drooping and loss of fatty tissue in the cheeks. This sagging is what creates deeper bags under the eyes, a pronounced fold between the cheek and nose, plus the sagging jowls that are associated with age. A midface lift moves the molar fat pads back up to their original level, giving the midface region a youthful appearance. The midface lift is also referred to as a cheek lift surgery since it primarily is a lifting of the soft tissue of the cheek. There are many nuances to this surgery that can be enhanced depending on the patient. Some patients may need a lift and the addition of tissue to fill out the cheek area. 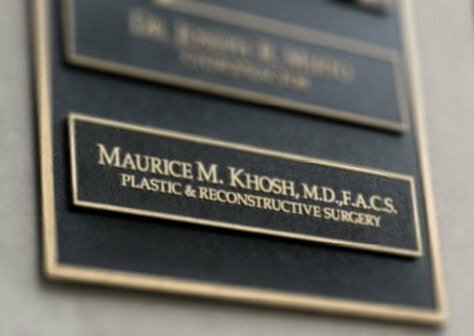 This can be achieved through cheek implants, fat transfers, and in some cases, facial fillers, which Dr. Khosh may suggest as part of the procedure. If you have deep bags under your eyes or have a noticeable sagging in your jowls, a midface lift surgery might be the best solution to turn back the hands of time. 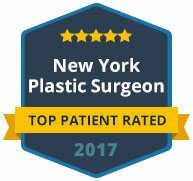 Contact us today to schedule your appointment with Dr. Khosh to determine whether the midface lift or other facelift options will best meet your needs.